And no matter what Mary Poppins sings to you..., originally uploaded by asdhollywood. 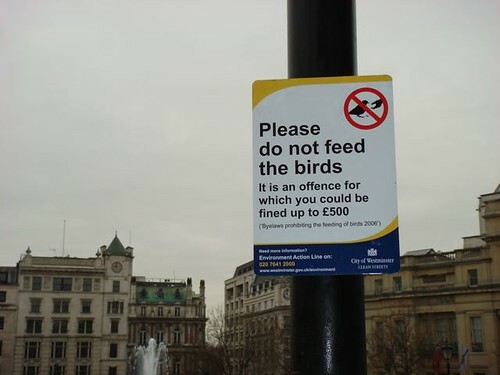 This sign was posted in several spots I visited in London. This one at Trafalgar Square.